The film follows volunteers of the Syrian Civil Defense Force. While we were expecting Amazon to score an Oscar first for Manchester by the Sea, Netflix ended up beating out that film with a Best Documentary (Short Subject) Oscar for The White Helmets. 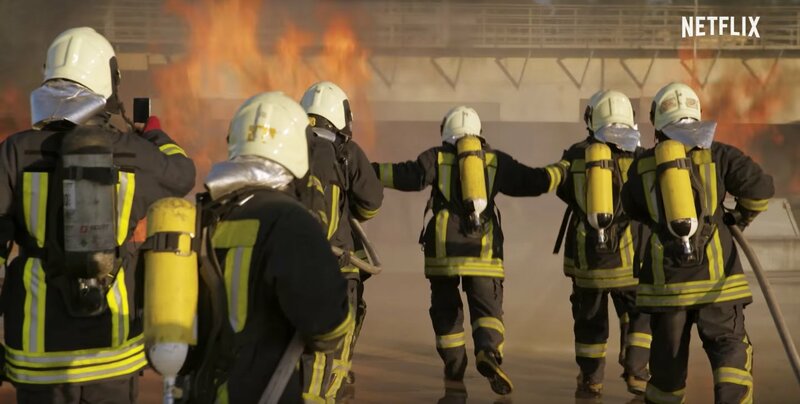 Directed by Orlando von Einsiedel, the film centers on a group of volunteer rescue workers for the Syrian Civil Defense Force, also known as "The White Helmets," who risk their lives to help civilians in that war-torn country. The group has saved more than 60,000 lives so far, and they've also been nominated for a Nobel Peace Prize. Ava DuVernay's The 13th, another Netflix film, was also nominated for best documentary, but it lost out to the epic-length O.J. : Made in America. As you might have guessed, The White Helmets is available to watch on Netflix now.